Every bite is subtly flavored with teriyaki. Using a marinade injector will give your chicken the most flavor by injecting the marinade directly into the chicken. In a small bowl, mix all of the ingredients, except chicken. Remove the chicken gizzards and liver (freeze for later use), rinse and dry the chicken well. Place the needle side of the marinade injector into the teriyaki sauce. Extract the marinade and inject a small amount every 1/2-inch or so around the chicken. Pour the rest of the marinade over the chicken. Place the chicken in a roasting pan on a middle rack in the oven for 50-60 minutes, or until inner temperature reaches 170 degrees. 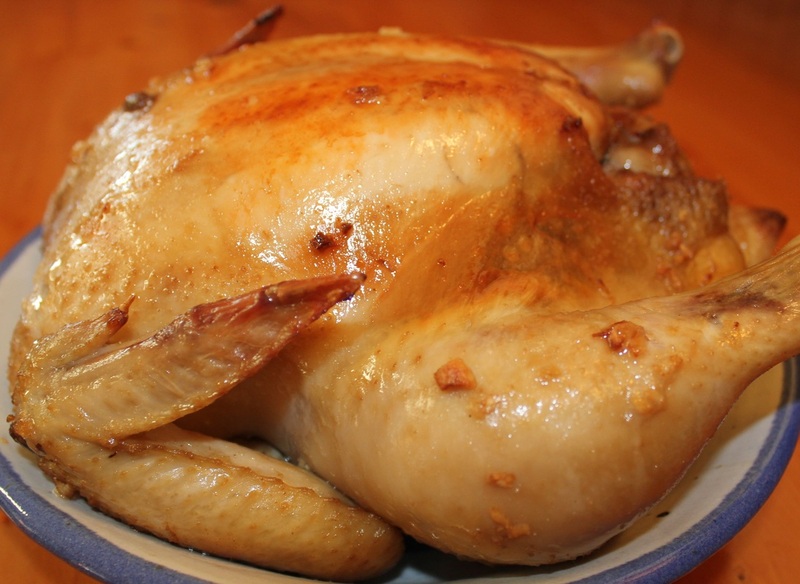 Allow chicken to sit about 15-20 minutes before serving.